What is Common Yoga Protocol? 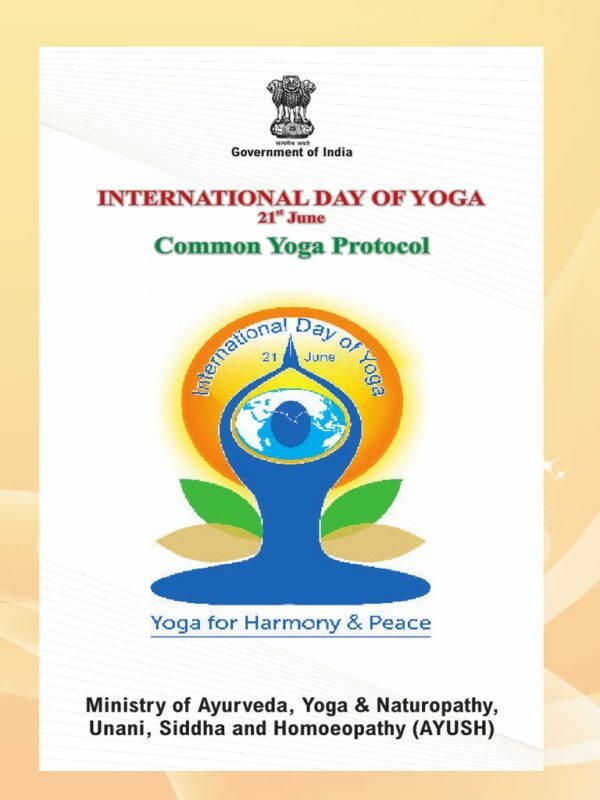 Common Yoga Protocol or CYP for short is a document & video, published by Ministry of AYUSH(Government of India) to make learning and practice of Yoga simple and accessible to all. This document was prepared with the consultation of leading Yoga experts and head of eminent Yoga institutions. The CYP makes the learning of Yoga as simple as available to all. The documents & video as a wealth of information about the history of Yoga, history & development of Yoga, fundamentals of yoga, benefits & certain selected asanas with short details. As with each passing year, the participation in IDY ( International Day of Yoga) is increasing. With such large-scale planning, there has to be some serious planning behind it. This becomes important if the demonstration is to be in harmony. Thus, Some of the most accomplished yoga gurus of India developed the Common Yoga Protocol (CYP) for this purpose, which is essentially a specified sequence of Yoga Asanas of 45 minutes duration. Asanas and practices mentioned in CYP have been carefully selected to form a cultured practice to give maximum benefits to a diverse group of practitioners. Experts are of the view that beginners can learn CYP in about 15 sessions of one-hour duration each. The CYP is an effort to connect people to Yoga with a brief yet precise intro to yoga. Above all else, this information and video are accessible and freely available to all. The practices which form part of CYP are carefully selected for this specific purpose only. This is a structured information booklet, useful for anyone who is new to the field of Yoga. Something that you can teach a large group of people easily. To a diverse group of people from different profiles of health, age etc. In other words, this a validated guidebook, with a sequence which can be taught to nearly any kind of student. Of course, this is useful. You can download the CYP free of any kind of charge. Please do feel free to share it with people who will benefit from this carefully crafted material and good introduction to Yoga. CYP – Hindi – Common Yoga Protocol official Hindi Language version. MDINY(under Ministry of AYUSH) has also uploaded a couple of videos on Common Yoga Protocol on youtube. There are two version mainly: 36 min and 58 min. As per AYUSH, the Common Yoga Protocol shall be performed in groups on 21st June 2018 from 7:00 A.M. to 7:45 A.M. followed by any suitable and customized 15-minute programme on Yoga. If you are an individual yoga professional, it is a good idea to promote the activity you are planning to do across social media and other feasible options. Better is to ask existing students to bring their friends and families. Yoga, when practised in a group, creates group energy which leads to better practice. Thus creating wider positive energy and awareness about health and well being. You can also visit this link to see what all is happening in your city or nearby and if you can collaborate with someone.